Tamiya 1/16 German Field Commander Model Discounts Apply ! 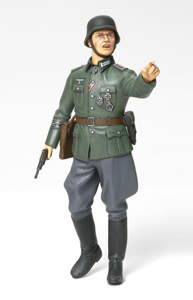 TAM36313 - Tamiya 1/16 German Field Commander Model. The officer is holding a Walther P38 pistol in his right hand and giving directions with his left hand. Tamiya #36313.